Staff was very accommodating and friendly. With the exception of a couple children all was peaceful and relaxed and I would definitely recommend staying here. The rooms with the lake view are fantastic. Location was fantastic, close to everything you want to experience. It was very clean and well equipped. We did not have breakfast. It was super close to everything. Walking distance to the down town area. Room was very clean. The staff at the hotel did not seem familiar with the area whenever we asked them a question. We had breakfast at the hotel restaurant the first morning and it was quite over priced. They had very loud rick and rill playing over the speakers first thing in The morning. The wait staff were pleasant. We were there to attend a performance at the Flynn Theater. The location was perfect. Our room had a beautiful view of the lake and mountains. We spent the day "seeing the sights" and were still able to walk to the theater and then back to the hotel. The hotel breakfast was excellent. The staff was phenomenal and gave us a complimentary bottle of wine just for making friendly conversation! Staff was super friendly! Had clam chowder delivered to room and it was yummy! It was a great stay, nice pool, alchemist beer at bar, great location!!! Perfect location, would love to get a lake view room next time! Hilton Burlington Lake Champlain This rating is a reflection of how the property compares to the industry standard when it comes to price, facilities and services available. It's based on a self-evaluation by the property. Use this rating to help choose your stay! 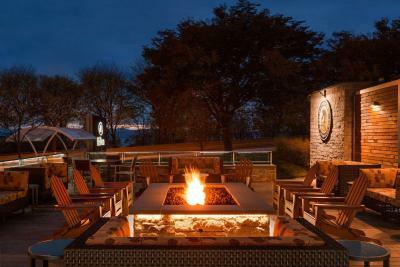 One of our top picks in Burlington.Overlooking Lake Champlain, and a short distance from various points of interest, including Burlington International Airport, this hotel offers accommodations and amenities, including free airport shuttle service. The Hilton Burlington places guests within walking distance of shops, cafes and restaurants of the historic Church Street Marketplace. Echo Lake Aquarium as well as the Ben and Jerry's Ice Cream corporate office are also nearby. Many recreational activities, including world-class skiing, are also easily accessible. Many of today's conveniences, such as wireless internet access, are a standard at the Burlington Hilton. Guests can also enjoy dining at the on-site Mounted Cat, working out in the fitness center or swimming in the outdoor pool. 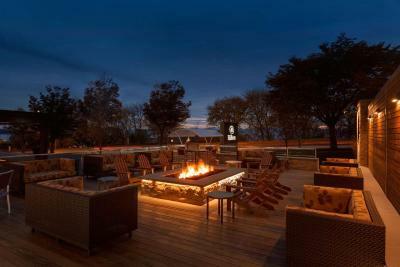 When would you like to stay at Hilton Burlington Lake Champlain? This room features a cable TV and a city view. Offers views of Lake Champlain. This room has cable TV and a city view. This room has cable TV and a lake view. Featuring city views. this room has air conditioning. 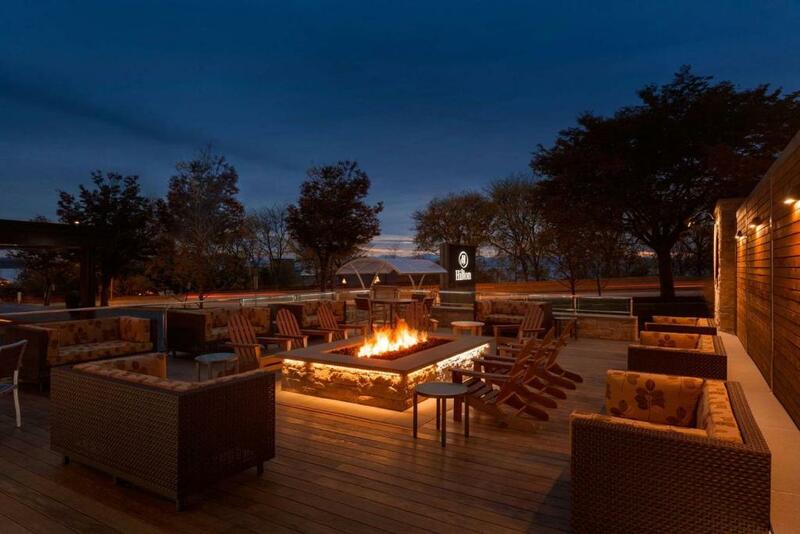 House Rules Hilton Burlington Lake Champlain takes special requests – add in the next step! Hilton Burlington Lake Champlain accepts these cards and reserves the right to temporarily hold an amount prior to arrival. After 6 pm, only 1 person was working the front desk. Had to wait over 10 minutes for WIFi problems. It was walking distance to the lake and downtown. We had a room opposite the lift and it was noisy throughout the night. Perfect location for checking out the lake and local restaurants and a great view of the lake from the front of the hotel. The view, the staff's friendliness, the amenities. WiFi not working, restaurant closed without explanation and despite our being told it was open by front desk staff. Front desk staff did not pick up when I tried to call them several times about issues. I had to go down and talk to them in person. Trash overflowing from barrels in front of hotel. I reserved a room with 2 queen beds but got a room with one. I cannot think of a single thing that could have been better. The view. The room was literally next to the pool. We had to keep the curtains closed for privacy, so it was very dark. It's kind of an annoying process to get on wifi. Can't believe that a international hotel chain offers a pool - with no shower or changing facilities! We were shown to a small, single unisex toilet/restroom down the corridor with a very wet floor! No way I am walking through the carpeted, public areas of the hotel either on the way in or out of the pool! On booking we were offered free use of bicycles - found out they were not available until May Booking said parking was $10 - it was $15 Booking said breakfast was £12 - it was over $20!